Have you avoided making ice cream at home because you don’t have an ice cream maker and you can’t justify buying another piece of kitchen equipment you’ll only use on occasion? If so, you’ll want to give this easy 2-ingredient method a try. This recipe adds a delicious salted caramel sauce and some chopped pecans. The results? Fantastic! 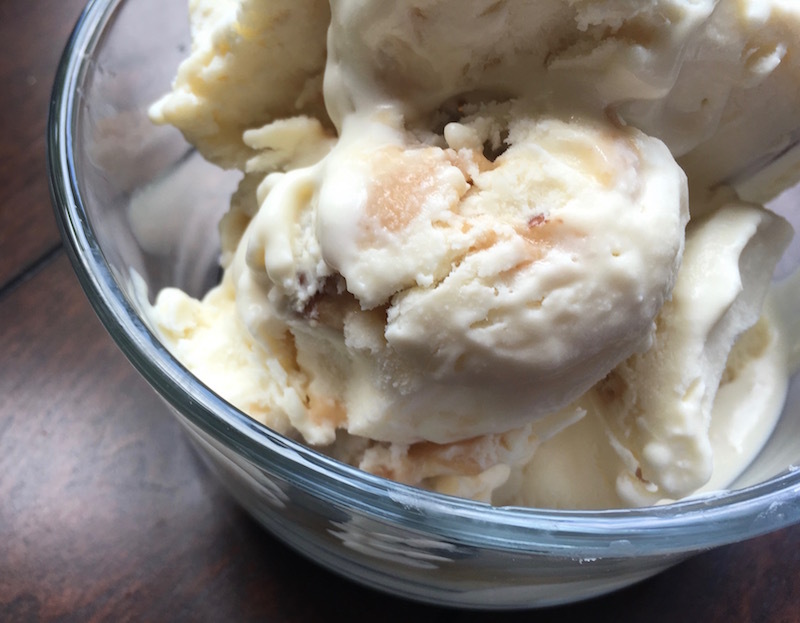 If you love ice cream and a bit of salt in your snacks, you’ll want to give this one a try! To prepare the salted caramel sauce, add double cream to a small saucepan and set the heat to low. The goal is to slightly warm the cream because you don’t want to add a cold dairy product to hot liquid. Continue boiling until the mixture turns a deep amber colour, then slowly whisk in the warmed cream until thoroughly incorporated. Remove from heat and add salt and butter. Stir until butter is totally incorporated into the mixture. Transfer to a serving dish or storage container and allow to cool while you prepare the ice cream. Whip the double cream in a large bowl with a hand mixer or immersion blender until soft peaks form.